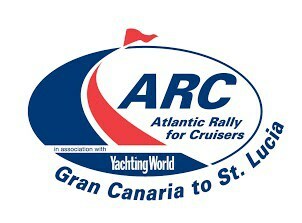 The 28th Atlantic Rally for Cruisers (ARC) set sail today from Las Palmas de Gran Canaria, bound for Saint Lucia. A fine NNE breeze provided perfect conditions for a downwind start and a swift departure for the first part of the passage across the Atlantic. In total, 224 boats and 1,204 people, including 26 aged under 16, are sailing in this year’s edition of the world’s most popular transocean rally. While the ARC is a cruising rally, there is a start and finish line, and the boats are split into divisions according to size, type and competition. One boat opted to depart Las Palmas early, so 223 yachts sailing under the flags of 23 nations crossed today’s start lines. At 12:30UTC the gun on the Spanish naval ship Rayo fired for the start of the multihull and open divisions. 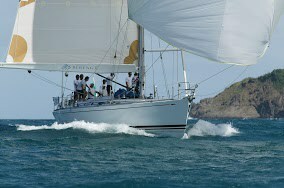 The first catamaran across the line was Gunboat 62 Zenyatta (USA) the largest multihull in this year’s fleet. 24 other multihulls, many with families on board waved farewell to the Vela Latina dock this morning to cross the start line and begin their adventure. 35 boats in this year’s the Racing Division were lead across the start line by Gran Soleil 43 Quokka 8 (GBR), closely followed by Oyster Lightwave 48 Scarlet Oyster (GBR), and Knierim 65 Caro (GER). 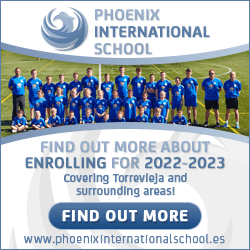 Spinnakers were promptly hoisted as the racers gybed out to seaward and away from sailed the coast of Gran Canaria. The cruising division is the largest group of ARC yachts, with 161 boats. By their start at 13:00, a large rain squall washed over the boats on the start line, but there will be plenty of sunny trade wind sailing ahead for the next 2,700nm to Saint Lucia. First to cross the cruisers start line was Dufour 385 Lucky Lady of Finland with her crew skippered by Seppo Pajari, followed by Nyaminyami II (GBR) and Vild Lexus (DEN). All boats are now on their way to Saint Lucia, 2,700 nautical miles to the west. The weather forecast suggests light to moderate north-easterly trade winds for the first few days, which will mean a relaxed sail south towards the Cape Verdes for the cruisers. A developing low in the mid-Atlantic may encourage some of the racing fleet to try for the northern route in the hope of a faster passage. The ARC crossing record is 11 days, 5 hours, 32 minutes and 30 seconds, set by Italian maxi yacht Capricorno (Rinaldo Del Bono), in 2006. Several race boats are hoping to beat this, including Volvo 70 Monster Project, Nautor 78 Idea of London, TP52 Balearia and two Pogo 40s given the right conditions. In the two weeks of ARC activities in Las Palmas, the boats and crews become an important part of the city, and they always receive a warm send-off. Boats left the docks accompanied by a salsa band and calls of support from staff at businesses around the marina, and thousands of well-wishers lined the seafront to wave off the boats on their Atlantic adventure. The Tourist Board of Gran Canaria, the Port Authority of Las Palmas, and the city government of Las Palmas, have been wonderful hosts to ARC participants for the past two weeks and it is their continued support that makes the atmosphere in the lead up to start day so spectacular. Some of the crews provided spectators with a show as they left: The crew of Keoma were all dressed in colourful shirts, there were Mexican waves as the fenders were stowed and many had horns and musical instruments themselves to join in with the band on shore. Crossing the finish line in Rodney Bay, Saint Lucia this morning at 10:10:10 UTC (06:10:10 Local time) Max Klink’s Knierim 65 Caro has earned a place in the history books, smashing the ARC course record by 08 hours 07 minutes and 20 seconds. Opting for the northern route, the crew were planning that the light-weight carbon-fibre “racer-cruiser”, launched this year, would be able to sail over the top of a developing mid-Atlantic low. This was a risky strategy, as the low could have moved north faster than predicted and could have deepened into a sub-tropical storm. Despite a frustrating first few days early on, sailing north in light winds, the gamble paid off, as Caro was able to reach south, hitting speeds of over 20 knots at times. The elite crew have previously been involved with some of the world’s top racing programmes and included Volvo Ocean Race veterans Tom Addis, Mark Bartlett, Michi Mueller, Jonathan Swain and Justin Ferris. Jens Langwasser, a designer from the boat’s Kiel-based builders Knierim Yacht-bau was also on board, along with Alexander Hilbich and Skipper Max Klink. Max has taken part in the ARC once before, in 2010, with his previous boat, a Knierim 50 also named Caro. Once sails were downed and the 4.8m keel was lifted enabling them to navigate through the marina entrance channel, Caro proceeded to their berth where local dignitaries and press team waited excitedly for their arrival. Chairman of the Saint Lucia Tourist Board, Matthew Beaubrun and Sean Compton, the Chairman of the ARC planning committee congratulated all onboard on their achievement. Owner & Skipper Max Klink received a welcome hamper form the Saint Lucia Tourist Board and admitted he was delighted to have returned to the Caribbean island, “It feels great to be back in Saint Lucia again – I am looking forward to enjoying some more of the islands refreshments.” as he sipped an ice-cold rum punch. There is a full schedule of events in Rodney Bay for all ARC crews and their friends and families, culminating in the ARC prize giving on 21 December.